Worldwide, cardiovascular diseases are the number one cause of death1, with over 7 million deaths each year attributed to the specific cardiovascular disease, coronary heart disease (CHD)2. CHD, the main cause of heart attacks3, results from atherosclerosis, the narrowing of the inside of the artery. The plaque that builds up within arteries results in decreased blood flow to the heart. This is comparable to your drain clogging after the pipes gradually collect gunk inside. The main risk factors for CHD are smoking, genetics, obesity, high blood pressure, diabetes, lack of exercise and stress4. To combat coronary heart disease, doctors commonly utilize drugs and invasive procedures or surgeries5. 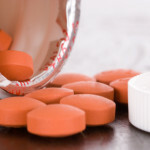 In addition to, or in lieu of these sometimes-aggressive treatments, many employ lifestyle changes and take supplements to fight or prevent CHD. In order to determine specific risk factors related to cardiovascular diseases as well as others, a group of researchers in the Netherlands began an extensive population-based research effort called The Rotterdam Study6. Since 1989 the group has regularly interviewed and examined 15,000 elderly people within a specific district in the city of Rotterdam. With such a large number of localized subjects in this unique study, the scientists have the statistical power to determine whether or not specific risk factors are related to certain diseases. It is important to note that although these researchers can determine the relationship between risk and disease, they cannot determine whether a factor causes a disease or not. In a seminal research paper generated by the Rotterdam Study, scientists and doctors determined that increased consumption of Vitamin K2 is correlated with a reduced risk of coronary heart disease7, building upon numerous studies describing the inhibitory effect of Vitamin K-dependent proteins on atherosclerosis. The Rotterdam researchers assessed the diet of nearly 8000 subjects using a validated semiquantitative food-frequency questionnaire conducted by trained dieticians. The concentration of Vitamin K2 and other micronutrients in common Dutch foods were determined using high-performance liquid chromatography, an analytical chemistry technique to separate, determine and quantify components of complex mixtures. Comprehensive clinical examinations were performed on all patients, including thorough blood work and assessment of atherosclerosis. When the researchers assessed Vitamin K2 levels, they first noticed higher quantities in patients with greater total fat, saturated fat and calcium intake. Moreover they found higher levels in individuals with higher body mass index (body fat) and diabetes. Conversely they noticed lower Vitamin K2 levels in subjects with higher polyunsaturated fat (omega-3, omega-6, DHA, etc.). Furthermore, when analyzing cholesterol levels they found an inverse association with total cholesterol and a positive correlation with HDL (healthy cholesterol). Interestingly, Vitamin K2 intake was not correlated to a healthy lifestyle or diet, although some of the individual associations may suggest this. 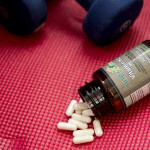 Excitement arose when the researchers looked at the relationship between Vitamin K2 intake and coronary heart disease. To do this, they arranged patients into three evenly sized groups based on their Vitamin K2 levels (low, medium and high). When examining the high Vitamin K2 group the scientists discovered a strong and significant decrease in CHD incidence and CHD-related deaths. Moreover there was a significant reduction in death from any cause in this group. In agreement with the coronary heart disease findings the researchers also found that patients with severe atherosclerosis had lower Vitamin K2. What is striking about these findings is that they still stand when the researchers adjusted for every other factor, including smoking, education, and diet. Additionally the researchers excluded subjects with previous heart attacks from their analysis in order to avoid a bias resulting from intentional changes in diet or lifestyle. Altogether these data suggest that dietary intake of Vitamin K2 has a protective effect against coronary heart disease and death. Although this study does not prove Vitamin K2 specifically deters CHD, it provides additional support for a causal relationship between this dietary micronutrient and heart disease. Since this study was published, other groups have found similarly encouraging results. For instance, researchers discovered that for post-menopausal women, increased consumption of Vitamin K2 lowered the risk of atherosclerosis8. With the mounting evidence for Vitamin K2 reducing the risk of coronary heart disease the International Life Sciences Institute recently recommended taking Vitamin K29. 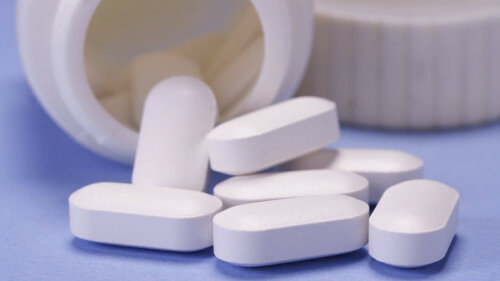 Since it can be hard to consume the recommended amount of Vitamin K2 with a standard diet, taking a natural Vitamin K2 supplement, like Innerzyme Vitamin K2, MK-7, 300mcg can be advantageous. It will be exciting to learn more about the additional benefits of Vitamin K2 in the coming years, as it is an active area of research for many scientific and medical professionals. “Global status report on noncommunicable diseases 2010” World Health Organization (2011). Lozano et al., “Global and regional mortality from 235 causes of death for 20 age groups in 1990 and 2010: a systematic analysis for the Global Burden of Disease Study 2010” Lancet 380(9859): 2095–128 (2012). “Heart attack/coronary artery disease”. Mount Sinai Hospital, New York. “Causes”. Coronary artery disease. Mayo Foundation for Medical Education and Research (2012). Jameson et al., “Harrison’s principles of internal medicine” (16th ed.). New York: McGraw-Hill Medical Publishing Division (2005). Hofman et al., “Determinants of disease and disability in the elderly: the Rotterdam Elderly Study” European Journal of Epidemiology 7:403–422 (1991). Geleijnse et al., “Dietary intake of menaquinone is associated with a reduced risk of coronary heart disease: the Rotterdam Study” Journal of Nutrition 134(11):3100-3105 (2004). Beulens et al., “High dietary menaquinone intake is associated with reduced coronary calcification” Atherosclerosis 203(2):489-93 (2009). Beulens et al., “The role of menaquinones (vitamin K₂) in human health” Journal of Nutrition 110(8):1357-68 (2013). Katie Jodscheidt is a Fitness Nutrition Specialist and Certified Personal Trainer through the National Academy of Sports Medicine (NASM). Katie is passionate about helping others improve their overall quality of life by improving their health. Her mission is to educate people on how to live a healthy lifestyle through proper diet, exercise and nutritional supplementation. With years of research on natural health alternatives and collaborating with highly trained physicians around the world, Katie Jodscheidt founded Innerzyme in 2011. 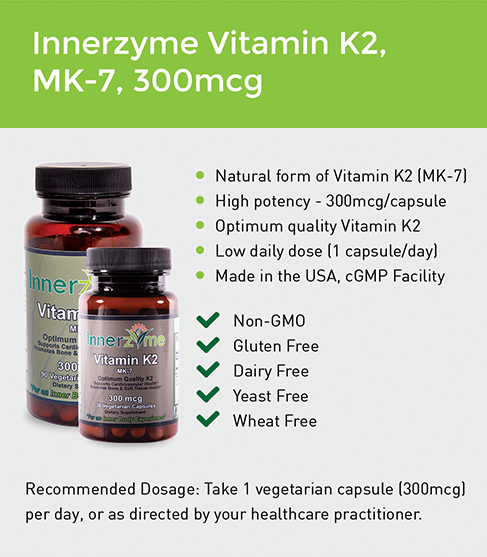 Innerzyme is revolutionizing the natural health industry with specially formulated, ethically created nutritional supplements including Vitamin K2, MK-7, 300mcg and a full range of digestive and systemic enzyme supplements. All Innerzyme supplements are made in the USA in a cGMP certified facility.